November 3, 2015: AWWA Opens Office in India. “The office of AWWAIndia, part of AWWA’s vision of “A better world through better water,” is up and running, signing up members and developing strategies to improve drinking water quality for the nation’s 1.29 billion people. 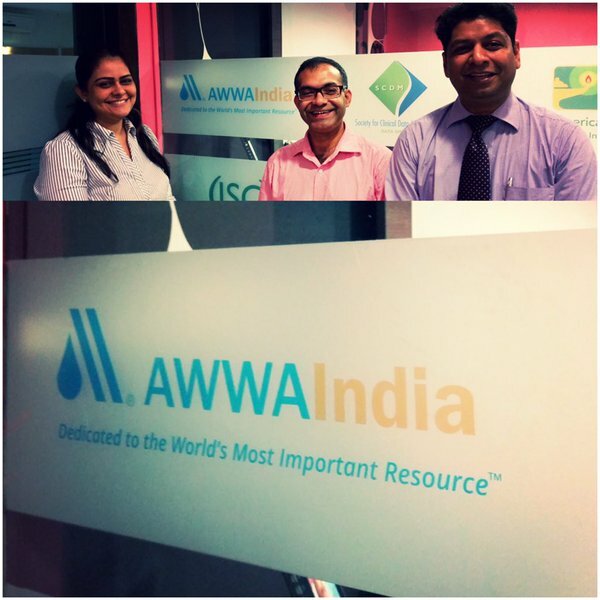 The office, located in Mumbai, is the headquarters of AWWA’s first international community outside North America and is staffed by three paid workers and five volunteers. A launch event was held Nov. 3 in Mumbai and included dinner, cocktails and keynote addresses by Dr. Mrs. Malini Shankar, Addl. Chief Secretary, Department of Environment, Government of Maharashtra, who spoke on “Integration of Water & Sanitation” and Dr. Harish Shetty, a social psychiatrist whose talk was entitled “Blood Red Waters — Drought, Farmers and Suicides.” About 90 water professionals attended. On Nov. 5 a mini-launch was held in Hyderabad – about 440 miles southeast of Mumbai — where the town’s water supply and sewer board hosted a two-hour get-together to discuss India’s water issues and how it can partner with AWWA. November 3, 1888: Article in Engineering News–Irrigation in the Arid Region of the United States. “An answer to some of the wild hopes regarding irrigation in the arid regions west of the Mississippi, and an answer also to the wilder misstatements regarding the feasibility of the project, is found in the letter of Maj. J.A. Powell, Director of the Geological Survey, to Secretary [of the Interior] William F. Vilas. Maj. Powell says that the area of the arid region is about 1,300,000 sq. miles, and that 1,000,000 sq. miles of this only need water to make it productive. At $30 per acre, a moderate estimate for irrigated land, this area would represent the enormous aggregate value of $19,200,000,000. Over this region the annual precipitation ranges from 5 ins. or less on the driest plains, to 30 ins. on the mountains, with an average for the whole region of about 15 ins. If this could be applied to the land, there would be about double the amount required during the growing season…. Under such adverse conditions it is manifest that only a small portion of the rainfall of the region can be made to serve the farmer, and that there is no solid foundation for the opinion sometimes expressed that the greater part of our arid west will ultimately be reclaimed. In 1880 less than 1 per cent of its arable portion had been supplied with irrigation water, and it is not believed that with the most elaborate irrigation works this can be increased to more than 20 per cent…. Reference: “Irrigation in the Arid Region of the United States.” Engineering News. 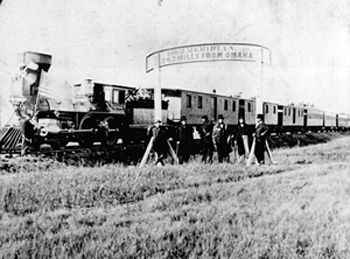 20 (November 3, 1888): 351. Commentary: This extraordinary document predates the enormous irrigation projects planned and executed by the federal government through the Bureau of Reclamation. Just think of the vision and fortitude that was necessary to make these dreams a reality. This entry was posted in Year 7 TDIWH and tagged arid west, AWWA, AWWAIndia, Bureau of Reclamation, irrigation, rainfall, USGS on November 3, 2018 by safedrinkingwaterdotcom. This entry was posted in Year 6 TDIWH and tagged arid west, AWWA, AWWAIndia, Bureau of Reclamation, irrigation, rainfall, USGS on November 3, 2017 by safedrinkingwaterdotcom. This entry was posted in Year 5 TDIWH and tagged arid west, AWWA, AWWAIndia, Bureau of Reclamation, irrigation, rainfall, USGS on November 3, 2016 by safedrinkingwaterdotcom. This entry was posted in Year 4 TDIWH and tagged arid west, Bureau of Reclamation, irrigation, rainfall, USGS on November 3, 2015 by safedrinkingwaterdotcom. This entry was posted in Year 3 TDIWH and tagged arid west, Bureau of Reclamation, irrigation, rainfall, USGS on November 3, 2014 by safedrinkingwaterdotcom. This entry was posted in Year 2 This Day in Water History and tagged arid west, Bureau of Reclamation, irrigation, rainfall, USGS on November 3, 2013 by safedrinkingwaterdotcom. November 3, 1888: Article in Engineering News–Irrigation in the Arid Region of the United States. “An answer to some of the wild hopes regarding irrigation in the arid regions west of the Mississippi, and an answer also to the wilder misstatements regarding the feasibility of the project, is found in the letter of Maj. J.A. Powell, Director of the Geological Survey, to Secretary [of the Interior William F.] Vilas. This entry was posted in This Day in Water History and tagged arid west, Bureau of Reclamation, irrigation, rainfall, USGS on November 2, 2012 by safedrinkingwaterdotcom.